Saudi Aramco plans to buy a stake in Hyundai Oilbank, the petroleum unit of Hyundai Heavy Industries (HHI) Group. 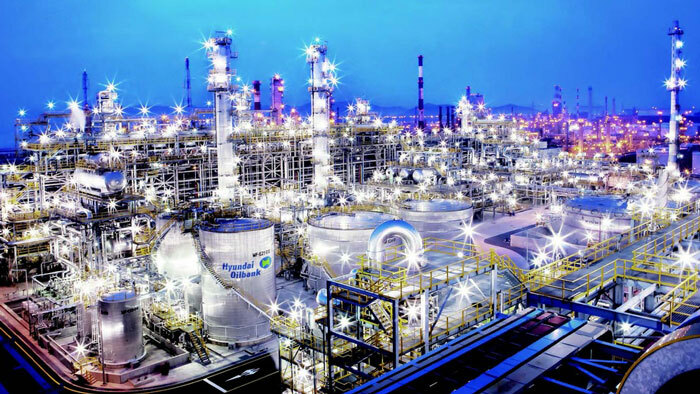 The smallest of South Korea’s oil refiners, its Daesan plant in Daesan-eup, Seosan, Chungnam, has a daily capacity of 650 thousand barrels. Saudi Arabia’s state-owned oil and gas company, Saudi Aramco, is already the largest shareholder in South Korea’s third-largest oil refiner, S-Oil Corp, with a 63.41% stake. Hyundai Heavy Industries announced on Monday that it has signed a pre-IPO investment agreement with Saudi Aramco, which is worth up to KRW1.8 trillion (USD1.6 billion). The agreement entitles Saudi Aramco to purchase a maximum of a 19.9% stake in Hyundai Oilbank. Valuing the business at KRW10 trillion (USD8.9 billion) in market capitalization, Saudi Aramco is expected to buy the South Korean oil refiner’s shares for KRW36,000 (USD32.23) each. This contemplated investment is to be approved at the respective board meetings of the two parties. The deal should boost Saudi Aramco’s crude oil sales in South Korea, the world’s fifth-largest oil importer. Saudi Arabia is already the top crude oil supplier to South Korea. In 2018, South Korea imported 323.17 million barrels of crude oil from Saudi Arabia, or 885,408 barrels per day (bpd), according to data from the Korea National Oil Corp.
Saudi Aramco, the world’s largest crude oil producer, plans to increase its global investment in refining and petrochemicals to reduce its reliance on crude oil sales.